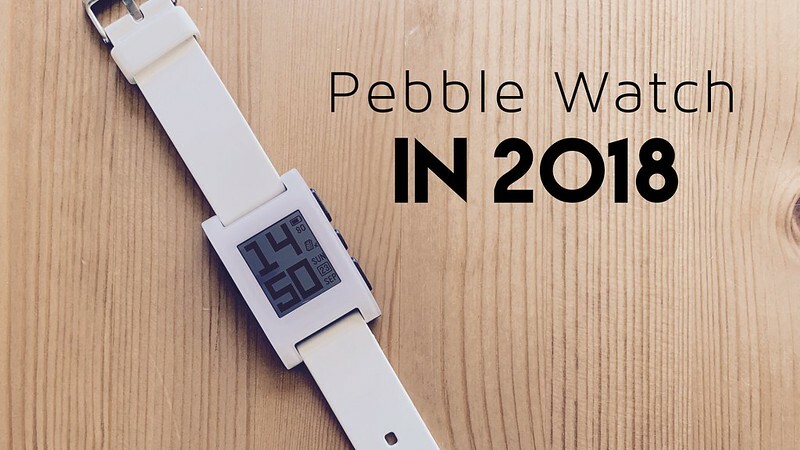 In case you are not familiar, Pebble was a smartwatch launched with the biggest Kickstarter campaign in 2012, reaching $10.3 Million in a little over a month. The watch started shipping in early 2013 with a black and white memory LCD screen, which provided about a week of battery life. Given the head start that Pebble enjoyed, a thriving ecosystem was created around the tiny device. In the 2 years before giants like the Apple Watch or the Samsung Gear started selling, more than 1000 apps and watch faces were available on the Pebble app store. You might think that the Pebble had an odd design, but you could forget about charging it and there were a lot of cool apps: sleep tracker, fitness tracker, even a Domino’s Pizza tracker. Regardless, when Apple released their competitor in April 2015, the Pebble ended up stored in my closet, and it stayed there all these years… until now. Powering up the device was the easiest part, the battery had survived the test of time and only required a full charge before going back into action. When I turned the watch on, it was still in 2015. Same apps and same UI, but unfortunately no more server connectivity for Weather and other Pebble-owned services, as expected. I went into the App Store and found the official Pebble app, where it should remain until a future iOS update breaks compatibility. The app didn’t do much, it allowed me to pair the watch with the phone and control basic settings. But what if I tried loading a new watch face or an app? no luck, those services are far gone now. After the demise of Pebble’s servers was announced, a group of passionate developers started a project to create a new backend that would support a new app store and related services. The result was the Rebble Web Services (RWS), an impressive enterprise considering that the source code from Pebble was not available. So, to connect my old Pebble with the new RWS I just had to follow the steps on their official site. There is also an awesome video guide for those who like something more visual. After a few minutes, my Pebble was ready to rock and roll! The fact that so many people care about Pebble’s ecosystem is definitely worth mentioning, because it highlights an opportunity for other smartwatch makers out there: a truly open platform. Pebble succeeded in creating a vibrant ecosystem by making it easy and fun to create apps, but above all, by giving freedom and taking care of their developers. 5 years later, the Pebble smartwatch remains a great wearable. If you only care about receiving your phone notifications on your watch and doing some lightweight fitness tracking, you should consider getting a Pebble for around $50 on Amazon.com. The best smartwatch is not necessarily the one that has more apps or more users, it’s the one that serves you better. I hope that this helps someone out there trying to bring life back into their gadgets.